Drug testing can be complicated and requires learning the fundamentals to execute a successful, drug-free workplace program. 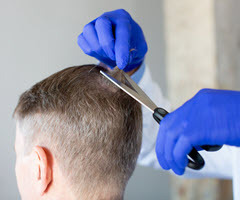 The third and final installment in our Back to Basics webinar series will discuss hair drug testing. Jarod Rowland, forensic toxicology supervisor and David Bustos, collection services manager at Quest Diagnostics, share their expertise as they comb through common misconceptions regarding this drug test type and help to provide an overview on how hair drug testing may benefit your drug-free workplace program.